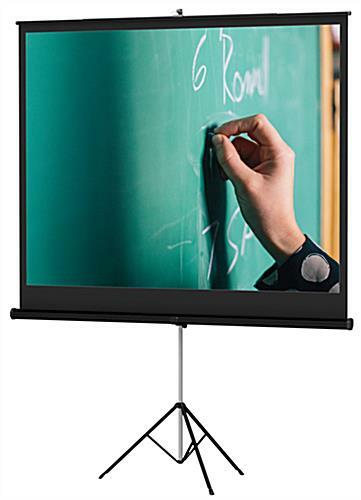 This projector screen offers schools and businesses a portable way to view PowerPoint presentations or other projections without the need for a wall mount display. 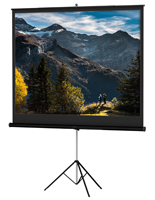 It comes with its own tripod stand that is also adjustable. 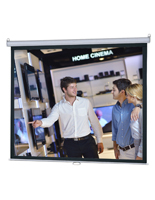 The projector screen comes inside a metal retractable cassette that not only stores but also protects your investment when not in use. 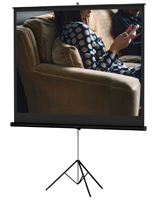 Attach the cassette to the stand and pull out the screen to the desired height. 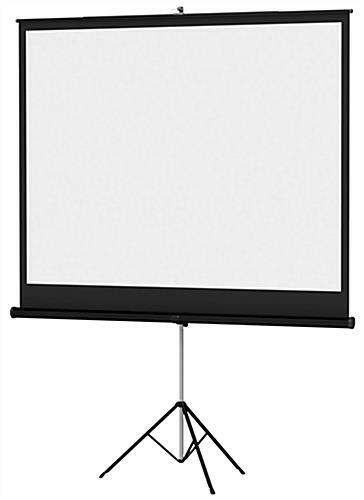 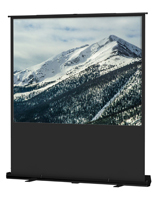 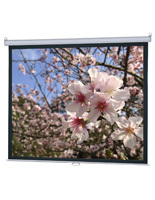 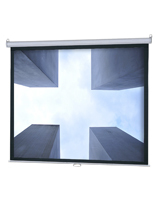 Our mid-size projector screen is affordably priced to fit well within school or office budgets.